New Zealand is a brilliant choice for backpackers. It’s a safe and welcoming country filled with adventure, natural beauty and fascinating Maori culture. Hostels are cosy, tours are plentiful, and it’s easy to meet likeminded travellers everywhere you go. 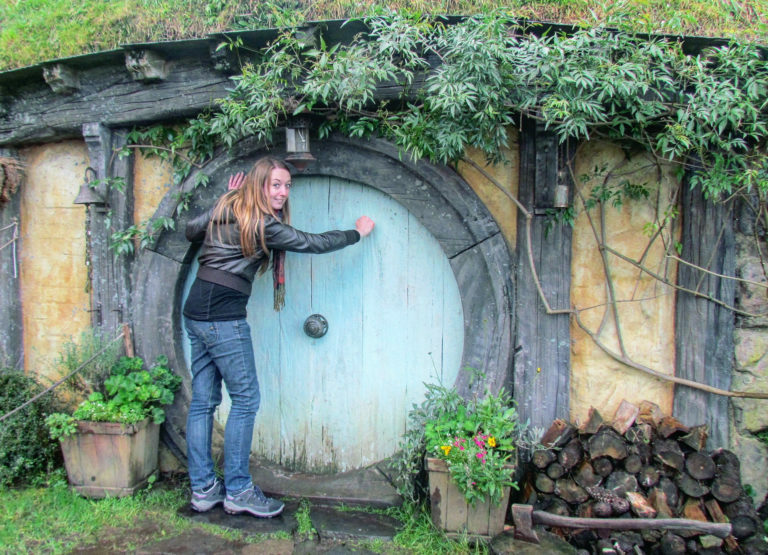 It would be a shame to dampen the excitement of booking your trip with the stress of wondering what to pack, so we asked adventure travel blogger Arianwen – who spent six weeks touring around New Zealand with the InterCity FlexiPass – for her top packing recommendations. Here’s what she had to say. You’ll save quite a lot of money if you start collecting the items you need well ahead of your trip. This way you can shop around for the best deals, or perhaps borrow specific items from friends and family. It’s a scary thought that you might find yourself thousands of miles from home without a specific item, and a lot of people counter this by packing far more than they actually need. It’s good to be prepared, but it’s important to realise that less is more when you’re backpacking. You should be able to buy anything you’ve forgotten once you arrive and, in some ways, this is preferable because it enables you to collect practical mementos of your trip. Whichever time of year you visit New Zealand, and wherever you intend to go, you should pack clothes for a variety of conditions. Due to varying altitudes and a changeable climate, you might be sunning yourself on a beach one day and skiing the next. Remember that New Zealand’s winter is the opposite to Europe and the USA. Temperatures on the south island in July can reach bone-numbing levels, while in January you’ll need the high-factor sunblock. New Zealand is one of the best countries in the world for adrenaline junkies and outdoor explorers. Rafting, sledging, scuba diving, canyoning, caving, sailing, hiking, biking, hot air ballooning, skiing, snowboarding, skydiving, bungee jumping, kayaking, glacial tours, jetboating and luging are just a few of the incredible experiences on offer. If you’re planning on getting involved in some of these activities, you might want to consider some specialist equipment. For example, dry bags are invaluable for boat trips and watersports. They also protect your belongings from sand and spray at the beach and can store your clothes when you use hostel showers. Action cameras are impact resistant and perfect for capturing close ups of your adventures; and a good pair of walking boots will be a godsend when you start to explore the country’s many hiking trails. We’re all different shapes and sizes. One person’s dream backpack is another’s ticket to pain! It’s really important to shop around for a backpack that meets your needs. Visit a few stores and try them out in the shop with some heavy items inside. Ask questions about how to readjust the frame and consider which style you prefer. For example, side-openings are far easier to use than top-loaders because you can access everything more quickly; and those with a detachable day pack are really practical. New Zealand immigration is notoriously strict when it comes to the items you’re allowed to bring into the country, and they have no qualms about confiscating them (or refusing you entry!) if you haven’t followed the rules. Check their advice carefully as you’re packing to avoid holdups when you land. It’s also worth noting that they may request to see footwear and – if it’s deemed unclean – they’ll take it away for a quick wash! Have these items in an accessible part of your bag, and use packing cubes for your other items so you don’t cause a tornado of charging wires and underwear trying to find them. The ‘onward ticket’ is the bane of a backpacker’s existence. If you’re planning a multi-destination trip and you don’t know exactly where you’ll be and when, you might decide to simply book one-way tickets as and when it suits you. Unfortunately, you can’t enter New Zealand on a tourist visa without proof that you’ll be leaving again, and that proof has to be an airline ticket to another country. To get around this problem, you have various options: book the cheapest ticket you can find and don’t use it; commit to leaving on a specific date; or buy an expensive fully refundable ticket. If you do the latter, make sure you’ve read the rules carefully. Usually, there will be an administration fee for making cancellations and alterations, and sometimes you have to let them know within a specific window of time. Don’t forget the items you can’t physically pack! It’s a common technique to check you have everything by laying it all out on your bed and ticking each item from a list as it goes in the bag. However, there are quite a few useful items that you can’t actually see. Travel insurance is incredibly important, and you should make sure it covers all of the activities you intend to enjoy; cloud storage is a really good idea if you want to back up your photos; a VPN will help to protect your personal information when you log onto public WiFi; and an overseas data allowance might help you get out of a sticky fix. Pack a few days before your trip’s due to start and get used to living out of a backpack. This is a good way to check you have everything and it also gives you time to become familiar with which compartments everything went into, so you don’t get flustered later. Arianwen is a professional journalist and author of the adventure travel blog Beyond Blighty. With a passion for adventure and outdoor pursuits, she’s travelled solo through over 30 countries on six continents. Follow her on Facebook, Instagram or Twitter to find out more.